I have to admit, a week away from the normal, everyday world has been, in many ways, good for my creativity. (thanks again for the sweet words and continued prayers) During the week, I worked on colorful suede and leather pouches and those small crossbodies which were on my wishlist. As for color love...I'm drawn to any shade of green, including turquoise. Vibrant. Muted. Earthy. Calming. Peaceful. :: this post is participating in the Focus on Life series. 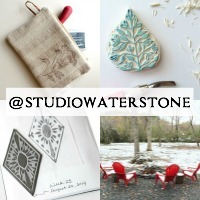 :: psst...hoping these items will make it to the shop at the first of the week. Had to scroll down and read some of the previous comments... I love that little green credit card holder... Is that going to end up on etsy? Fuschia and aqua mmmmmmm love it! Forgot fuschia when I was lisiting off my favorite colours on one of the other blogs! have a happy saturday and a great week! Oh, yes, beautiful turquoie. That fuschia color is looking pretty good too. And then there's that gorgeoud dark brown,..Mmmm!! I think I will never tire of the color turquoise! I'm with Islandgirl in admiring the green credit card holder in your last post..love it and also wondering it we will see it in the shop? Beautiful Lori, I love all these colors together the brown makes the fushia and turquoise pop. I love all your colors, together and separately - they should be great as bags! Love the color and love your pouches. I'm glad your found your greens and got some creative stuff done this week. Those pouches are in such great colors! Gorgeous photo and gorgeous pieces. You have so many beautiful and colorful creations Lori. The colors this week are vibrant and I love how you present them in a stack in one photo. The collage is pretty awesome too! Glad you are doing better! Those pouches are adorable!!!!! I think I will have to start stalking your shop! I am in love with the Teals, soo glad they are coming back! haha Actually just finished knitting bright teal headband that will hopefully end up in my shop, if it doesnt get stolen first! Love the turquoise and magenta! So soft and beautiful. Hello Sweet Lori, I know creating helps healing and is good in the creative process, I'm a green Lady, ( with red hair:) ) my color too and blends with them the other colors. I think a crossbody bag for our art supplies would be fab. Sending you heart healing wishes and big hugs..
i'm glad you are feeling better, Lori! 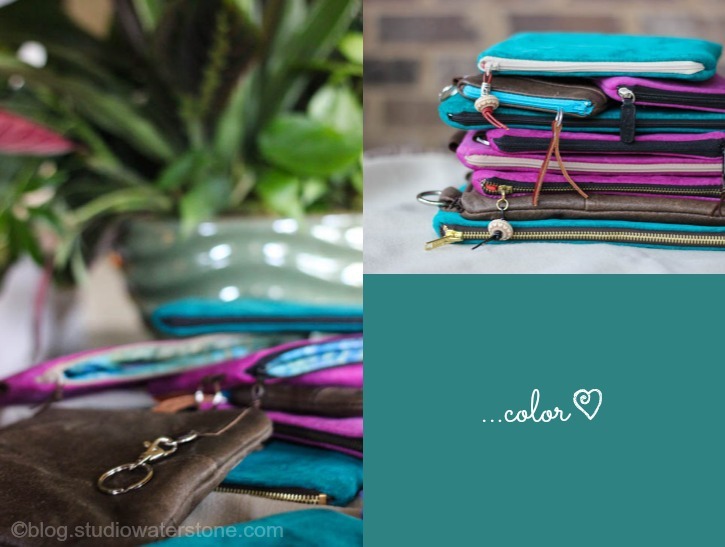 I am swooning over those turquoise colored pouches. xoxo. Here's to a better week! Ohh, I love all the colors here, are these for sale? ?